In December last year, the Full bench of Meghalaya High Court had asked the Union Home Ministry to ensure adequate security to the Retired Judges of the High Court, in view of the fact that they are working in North east and dealing with the cases of insurgents and facing veiled threats. Live Law had reported the order which can be read here. Later, in January 2016, the Centre informed the High Court that the security cover for the retired judges will be assessed by central and state agencies at their places of stay after retirement. But the bench said the threat assessment could not be done without consulting the protectee and the retired judges should be provided security when they travelled from one place to another. Now Sri. 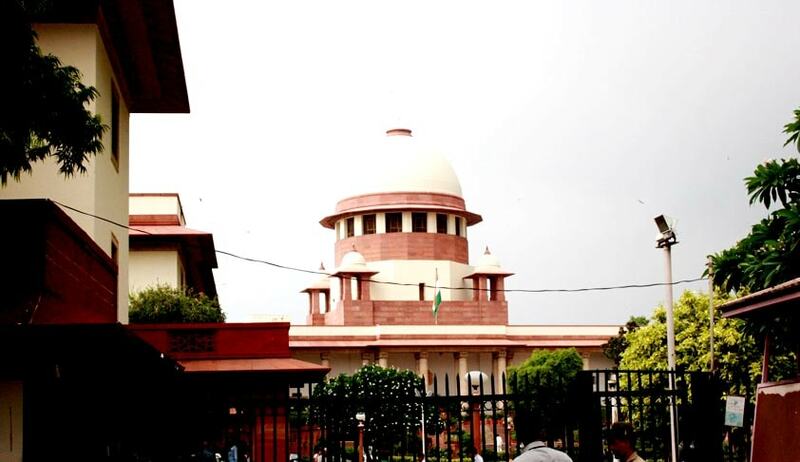 Sajay Laloo, a resident of the state, who is being represent by Senior Advocate Vijay Hansaria, told the Apex Court that the High court has conferred power on retired judges to assess their own threat perception at public cost in breach of the principle of 'conflict of interest’. The petition reads “Both the learned judges who passed the impugned orders in January 2016 were due to retire in the same month, whereas the impugned orders were passed on 7th, 13th and 27th January, 2016, for grant of their own security on permanent basis and treat them as a state guest after retirement." The Apex Court bench presided by the Chief Justice of India, has directed the Centre and the State to file counter within a week. The Bench has reportedly observed that the high court should have at least informed the Supreme Court before passing it, because it was largely an administrative order. The Bench told the senior counsel: “You have brought the issue to our notice and you have done your duty. You are a private citizen. You do not know in what condition the judges are working.” The bench also asked counsel for the State "Are you fine with these orders? The government cannot keep quiet and wait for seven months for a citizen to move the Supreme Court,"